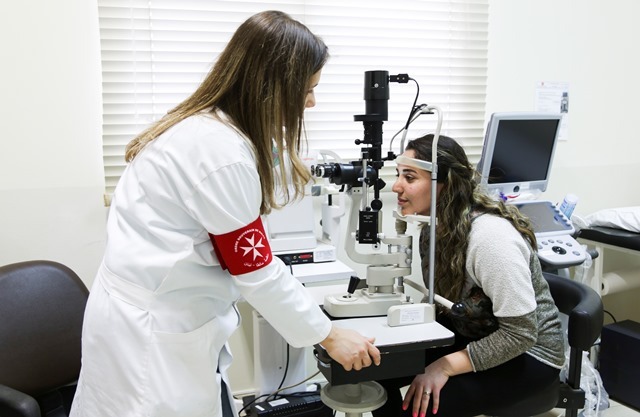 The Primary Healthcare Centre of Khaldieh offers a wide range of specialised medical treatments. In 2015, around 36,000 acts were carried out, including general medicine, cardiology, pediatrics, gynaecology, dermatology, ophthalmology, dental care, physiotherapy, and psychotherapy. Additionally medical devices and scanners were made available for diagnoses. The PHC also organises a variety of social activities, including visits to the homebound and isolated, the distribution of emergency kits to the Lebanese population and refugees, and an educative program for pregnant women and diabetics. The centre also implements medical visits to schools (664 students in 2015) and prisons (70 inmates in 2015). In 2013, the Fund awarded a grant to this same centre to support the Syrian refugees. This Christmas grant will be used not only to maintain the implementation of these activities but also to enhance its current medical services with the purchase of new equipment: a new generator, physiotherapy and ORL equipment. It will also cover part of the minor renovation works necessary to comply with the legal standards of the facility.